 Home  defence  defence industry  Defense  defense industry  defense industry news  Military  savunma sanayii  savunma sanayii haberleri  Security  Security Force Assistance Division? The Army’s 1st Security Force Assistance Brigade left for Afghanistan last week, the first deployment in a new train-advise-assist model that the service hopes to build on with larger organizational units, the Army staff’s director of force management said Friday. With a goal to create five active-duty and one reserve SFAB, brigades could be organized under new parent commands, which would then cooperate with their counterparts in partner countries, Brig. Gen. Brian Mennes told an audience at the Washington Institute. The SFAB concept is not new for the Army, in that groups of soldiers in a range of organizational structures have been training, advising and assisting local forces in countries around the world for the better part of the last century. But the past two decades in Iraq and Afghanistan showed the service that the mission is most definitely a long-term commitment, and so is creating a dedicated brigade with an associated school and its own heraldry. The test will be whether 1st SFAB and its counterparts will be able to succeed where others have stagnated, particularly in Afghanistan, which has struggled to organize and professionalize a national military and police force. The Army may know what it wants to achieve in Afghanistan or other countries, Karlin said, but military plans are useless if they’re not integrated with the country’s civilian leadership abroad, while under continuous study and review back home. Historically, she added, the U.S. has leaned heavily on the military to train foreign troops, but then ended up in a situation where the military is the only organization in a country that is running smoothly. “It is a fundamentally flawed approach, and yet it is the one the United States traditionally focuses on,” she said, arguing that all of the organizations involved need to be on the same page, willing to adjust course and willing to remove leadership who would undermine the effort. When Former Spc. Jim McCloughan, 71, receives his Medal of Honor today, four battle buddies will be watching. For the Army’s part currently, Mennes said, there has been a focus on that unified mission, designing a strategy based on what Afghan partners want to achieve, rather than how U.S. leadership thinks they should be. 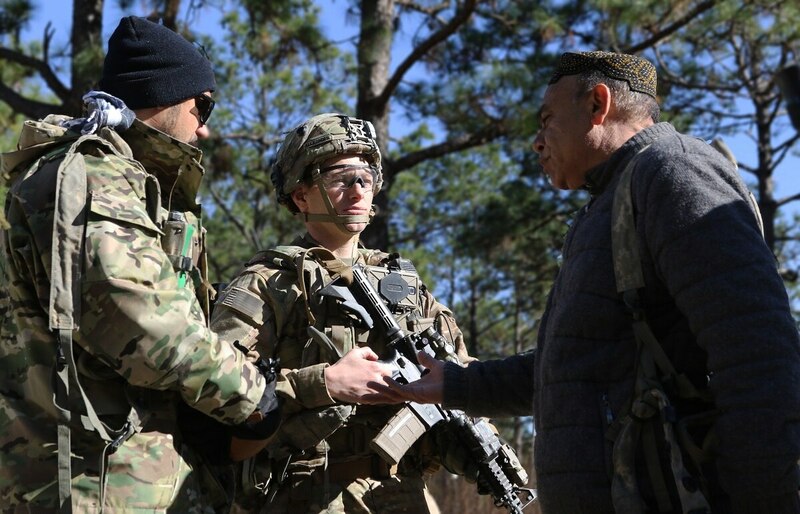 “Even where these folks are going are at the design of the Afghan security forces, where they think they need help,” he said, adding that the March deployment was not a coincidence – 1st SFAB is arriving at the beginning of the famed “fighting season” in that country. Karlin and Dubick emphasized that going forward, it will be necessary to get a diplomatic alignment going with security force assistance efforts. “What I do think is if you’re going to send in some military organization to do security force assistance, then you must have a corresponding issuance of instructions to the ambassador on the diplomatic responsibilities to reinforce the military activities,” Dubick said. And, Karlin said, the key will be making sure the most capable people possible are positioned at every level, in the military, in the State Department or Defense Department. And you focus on what the partner needs, Dubick said, rather than trying to form a new military in the United States’ image.